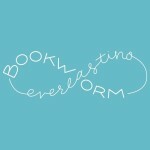 Usually, the first book in a new series is amazing and the second falls flat. Sometimes, the reverse is true; the first will be okay, but the second really hits its stride. 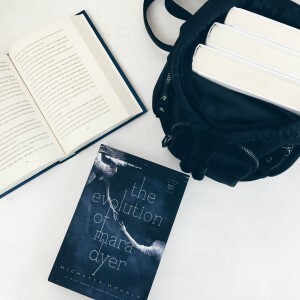 And then, very rarely, I love the second book just as much as the first – and that’s the case with The Evolution of Mara Dyer. I loved this book just as much as I loved the first in the Mara Dyer series (actually, I may have loved it a little more, but the point remains). Once again Noah Shaw had me overwhelmed with emotions. How is it possible that a character could be so perfect? I was even impressed with Mara. I have a tendency to get annoyed while reading Young Adult because of the teenage angst. I can not handle it. However, I admired Mara for the way she handled her situation given the constant roller coaster she is put through. She showed a maturity that too many Young Adult novels lack. It was wonderful to see Noah helping her as well instead of hindering her. It wasn’t just the characters that had me unable to put the book down. The mystery behind Mara’s abilities and the events that lead to the loss of her friends really picks up. At some parts I was creeped out. At night I read with just a small book light, but I had to turn on the bedroom light – that’s how creeped out I was. And the cliffhangers! They drive me mad! But in a good way. I get so excited when an author can leave me in such a state of shock. I did not see that ending coming. I must continue on with last and final book.